I have begun to write and assemble story afterwords (ubiquitous additions to my volumes of short stories) for my next short story collection. 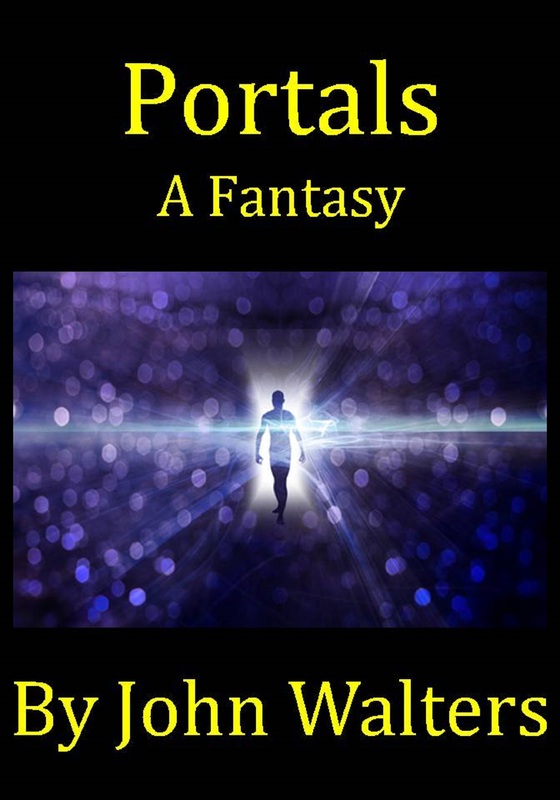 These notes are on “Portals”, a story that has already been published electronically and is available at Amazon here and Smashwords here. Since there are no real spoilers in the essay, I present it to you here for your edification and enjoyment. I envisioned the opening scene first. I pictured it at a riverside park in Burlington, New Jersey, near where my son used to teach high school math and physics. The woman, Ellie, steps out of the portal and confronts the multitudes. It is always from her point of view, and that is the point of it all. It doesn’t matter where the portals come from or who made them. Ellie has had a metanoia, a complete change of mind and heart, and has returned naked and without fear, to share the news with those she left behind. Is it any wonder that she is disbelieved, feared, ostracized? She represents something so profoundly different that acceptance of what she is saying involves acquiescence followed by departure from the entire gamut of the contrived and constructed systems of the known world. She and many others had taken a leap into the unknown, and now she has come back saying not to be afraid, that she has been to a good place, and that they can go there too if they want. They need to choose soon, though, because soon the portals will be irrevocably gone. What would you do? Would you abandon everything you have known all your life for a chance at paradise? Paranoia has gripped the governments of the world, fear of the unknown. It might be paradise, but then again, it might be the opposite. So the typical reaction is to legislate righteousness by force, to take away people’s power to choose. The machinations of the system serve the system, and the system protects its own. A line from a Bob Dylan song comes to me. What happens when you got nothing? And I also consider the end of the story by Ursula LeGuin, “The Ones Who Walk Away From Omelas”. Why do those who walk away get up and leave? Because of the imperfection at the heart of the city. And why did the people pass through the portals in my story when they first appeared? Some, perhaps, out of simple curiosity. Others, though, must have felt that though they had no idea where they were going, they knew that where they had been was fundamentally flawed. This is the same principle as when you step out on the road. You have a choice either to conform to what you have seen around you all your life, to somehow cram yourself into a mold that doesn’t seem to fit, or you can go forth not knowing where you are going. It makes me think of when I really took off on the road for the first time. I started at a freeway entrance in Seattle and hitchhiked a ways down the highway towards Oregon. I don’t remember exactly where it was, but it was that same first day, and the sun was shining, and the realization of what I had done fell upon me, and it was like a vibrant thrill, a wash of internal sunshine. I had done it. I was out on the road. I was like a butterfly bursting out of a cocoon. I had tried to make it in the world I had just left, but somehow things never worked out, never fell into synch. And there I was, the world before me and the past behind. I could do anything, go anywhere. I too had stepped through a portal into a wider world, and I never looked back. This entry was posted in Memoir, On Writing, Travel and tagged fantasy, freedom, metanoia, Portals, short story, Writing. Bookmark the permalink.